Many patient rights in long-term care facilities are guaranteed by federal and state governments. Knowing your rights, or the rights of your loved ones, can help make sure that patient rights for privacy, medication and treatment are observed. When you or a loved one needs long-term care, it is important that you or other family members learn about the patients' rights that residents in care facilities are entitled to. While certain rights are guaranteed at the state and federal levels, many long-term care facilities also provide a Patient's Bill of Rights for their specific facility. 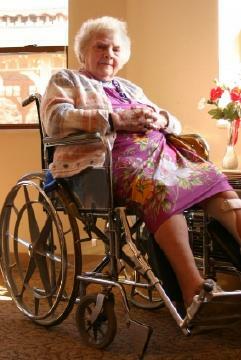 How Long Will Medicare Pay for a Nursing Home Stay? The federal government of the United States guarantees certain rights to each resident living in a long-term care facility. All patient rights are in addition to the rights the individual has as a United States citizen. There are certain patient rights that vary slightly depending on the type of long-term care facility. Patients' rights guaranteed by state governments are in addition to those mandated by the federal government. Together they provide patients in long-term care facilities a safe place to live that ensures a quality of life that is dignified and free from neglect and abuse. Similar to the patients' rights mandated by federal law, the rights mandated at the state level vary slightly depending on the type of long-term care facility and the specific state. Being aware of existing patient rights in long-term care facilities is an important aspect of making sure your stay, or that of a loved one, is positive and successful.